Home / Crime / EFCC reply Bankers Warehouse Ltd on the issue of 2.8million intercepted at the Enugu Airport. EFCC reply Bankers Warehouse Ltd on the issue of 2.8million intercepted at the Enugu Airport. 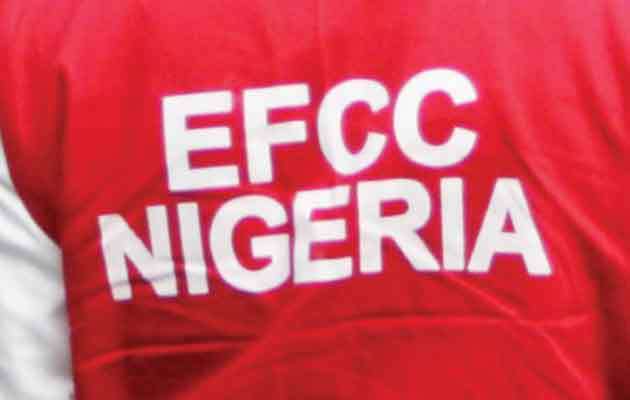 The Economic and Financial Crimes Commission (EFCC) says investigation is ongoing into a bank saga where two suspects were intercepted with 2.8m Dollars at the Akanu Ibiam International Airport Enugu. EFCC Acting Spokesman, Mr Tony Orilade, made this known in an interview with the News Agency of Nigeria (NAN) in Abuja on Saturday. He said: “Upon their arrests, they were caught with consignments of two suitcases, containing $1.4 million each, totalling $2.8 million, at the departure lounge of the airport while about to board an Arik Air evening flight to Lagos. “That was when they suddenly realised they need to honour the invitation. “The way forward is that investigation is ongoing.